With an M.A. in English from the University of Mysore, Nanjappa Parameshwaran started his career in 1975 as a lecturer in English in the Department of Pre-University Education, Govt. of Karnataka, India. In 1996, he was promoted as principal and he took voluntary retirement in 2009. Gudalur, in the beautiful Nilgiris district of the state of Tamil Nadu, is his home town. 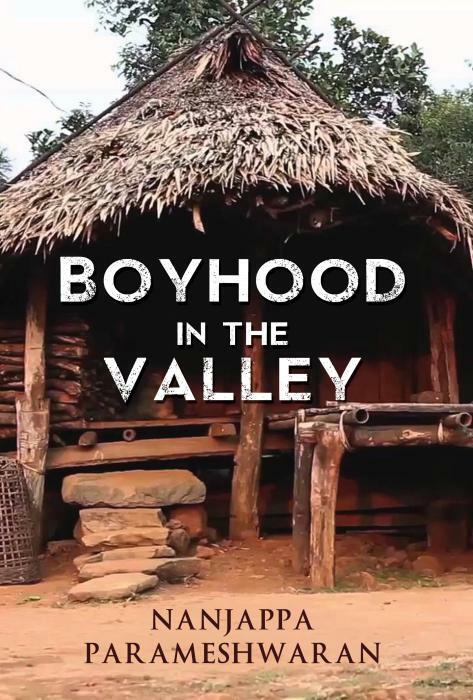 His book Boyhood in the Valley is based on his boyhood years spent there. He is now living in Mysore with his wife Amuda. His two children, Karthik and Sukanya, are both married and are living abroad. In the shadow of the Kokal Mountain, in the state of Tamil Nadu, Kumaran and his older brother Krishnan spend their childhood marvelling over new film posters at the cinema tent and causing mischief with their group of friends. They face hardships along the way, however, and when Kumuran has a disastrous accident whilst learning to cycle, he must think of a way to repay his friends before their parents find out. This leads to an eye-opening summer working in his father's shop away from home, during which time the two brothers learn more about the society they live in than their bustling town could ever teach them. Will the serenity of the Guynd estate be enough to tear them away from everything they have ever known?